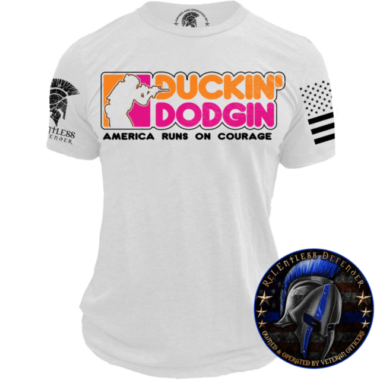 From our Patriotically Correct Collection we bring you this simple but bold design. This country was built on fundamental beliefs and it’s what keeps us strong today as one nation under God. Please allow (3-5 Days) for production before shipping, however, many times we have the product in stock and will ship out sooner. We ship using USPS and FedEx. 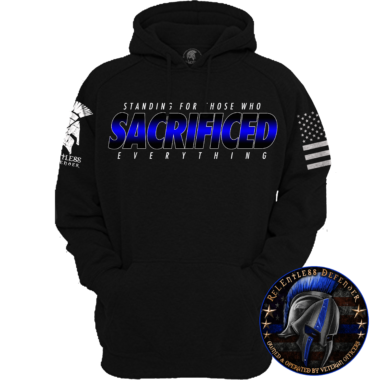 ReLEntless Defender does not control either entity therefore we are NOT responsible for any package(s) once it’s been turned over to the shipping provider. 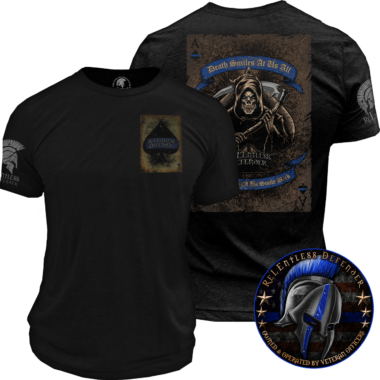 ReLEntless Defender is NOT responsible for packages that are late, stolen, lost, or packages sent to the wrong address (due to a customer entering error). The customer is responsible for filing all claims. 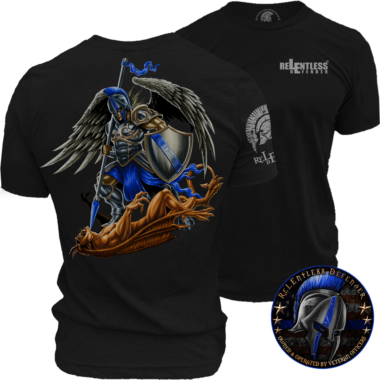 ReLEntless Defender is not responsible for any package(s) once it is in the hands of USPS, FedEx, and/or UPS. 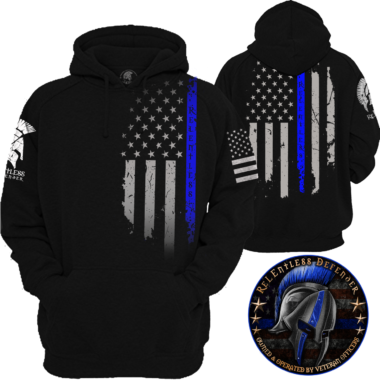 A portion of all sales is donated to police charities and families of fallen officers. Every shirt that I’ve gotten from this company has been the most comfortable and the best quality shirts that I’ve ever gotten. Every shirt that I’ve gotten from this company have been the most comfortable and the best quality shirts that I’ve ever gotten. GREAT fitting shirt!!! Love the fabric and very comfortable!! I was impressed and I highly recommend buying!!! I will definitely be buying more!!!! 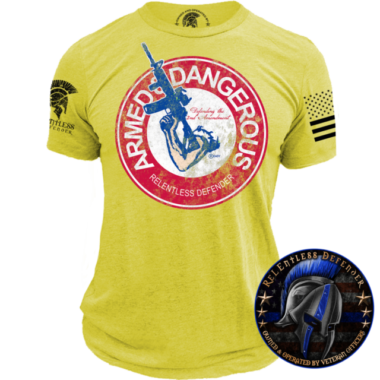 Great shirt from a great company! 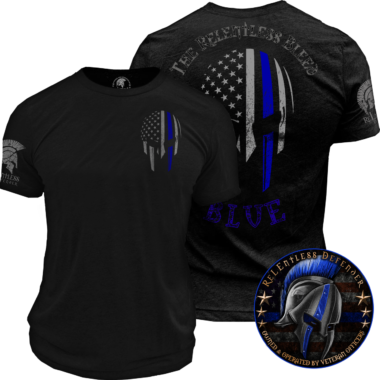 The only negative aboit this shirt is the size of the flag on the sleeve(not proportional). Great fit and great motto!! I love this shirt so much that I refused to share it. So had to buy the brother-in-law one in a much smaller size. Great product and great customer service! Had a technical difficulty while trying to place the order and was immediately assisted with my order when I called customer service. I love their products. I get a ton of compliments about this shirt. People always asking where they can buy one. Its a big hit at my church. 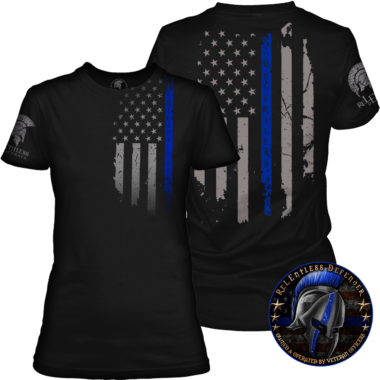 I tell people the shirts fit great and it is well worth the money. I will continue to buy more shirts from RDA. Great shirt with an awesome message. Buy it, wear it proudly. Nothing but the finest in products as always. VERY well done !! Professional look. Makes a strong statement. Another awesome design. RDA ROCKS !! 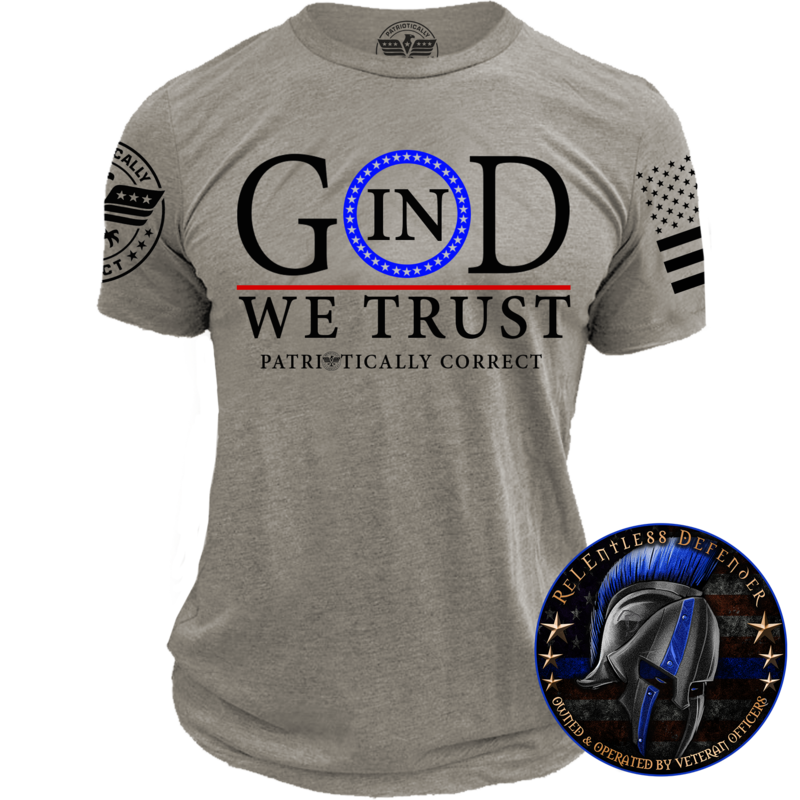 I have 15 of your shirts and “In God We Trust” is definitely my favorite!